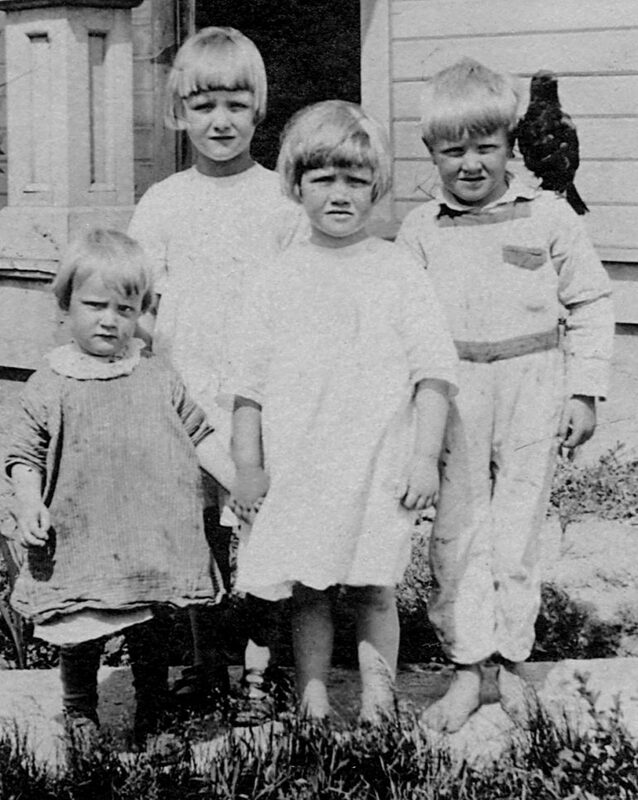 Four of Francis (Frank) and Watey Telquist’s ten children, from left: Bill, Charlotte, Marian, and Maurice (Nick) on a sunny day in the 1920s. The small details are fascinating—the children all spiffed up, Maurice in his bare feet. And is that a bird perched on Maurice’s shoulder?